If you’ve ever dreamt of a new life overseas and subsequently picked Australia as your destination, you can easily make that dream a reality with the right movers behind you. Leaving New Zealand for a life in Australia has long been something of a tradition for Kiwis looking for greener pastures, new opportunities and challenges, as well as those looking to start afresh. With Ausmove, there’s no easier way to move, settle, and live in Australia. If you’re looking to move to Australia without any hiccups, you’ll need to do it right. The best way to achieve this is to hire a moving service with extensive experience and an impeccable record in moving New Zealanders to Australia. Sometimes, you might not want to leave too many of your belongings behind; thankfully, you won’t have to. With affordable shipping options available, you can seamlessly make the move and bring anything along with you. If you’re entertaining the idea of leaving items behind due to the cost involved, you should rethink this, as we have plenty of cost-effective options available. Why Choose Ausmove for Your Move to Australia? If you’ve decided to get up and go to Australia, then there’s no better alternative (as a Kiwi) than Ausmove. 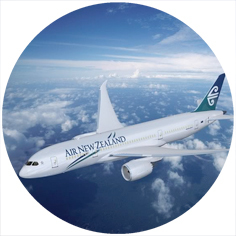 This is because we are the only 100% New Zealand-owned specialist moving service that’s been ferrying Kiwis to Australia for more than two decades! No one understands the needs of New Zealanders moving to Australia better than we do. We can collect your belongings - and those of your family - from anywhere in Auckland, and you’ll soon have them at your doorstep in Australia, without any fuss whatsoever. So, give us a call today and make your move happen by taking advantage of our highly-competitive prices. Whatever requirements and belongings you need to move to Australia, we have the perfect package and quote for you. Just get in touch and we’ll be happy to provide you with all our options. Before you make the move to Australia, here are some facts that will make your resettlement that bit easier. The job market in Australia is stable and the economy healthy, which is why most people choose to move there. However, it’s worth noting that you’ll have to do some job hunting before you land the job of your dreams. The real estate market in Australia is firmly established and highly competitive. House prices can be quite expensive in the larger cities, while the same goes for renting as well. Most rentals will require you to put in a tenancy application, along with documents such as your former landlord’s contact information; a written reference from them; your bank statements for the last three months; as well as other important paperwork. You can easily open an Australian bank account online, via the relevant websites, before even leaving New Zealand. Similar to how New Zealand has Accident Compensation Corporation, the public health service in Australia is provided by Medicare Australia, an Australian Government agency. New Zealanders living in Australia are entitled to free emergency hospital care if you hold a Medicare card. Generally, you pay full price for all non-hospital treatment (medicines, doctor visits, etc). Being a New Zealand citizen in Australia qualifies you for enrolment in the Medicare program, so it’s usually wise to enroll as soon as you arrive. You are entitled to claim a range retrospective medical expenses incurred since you arrived in Australia, so long as they fall under the Medicare umbrella. As a New Zealand citizen, your automatic Special Category visa allows study at any Australian tertiary institution without a student visa. You’ll also pay domestic student fees, but likely will not be eligible for student loans. Your Special Category visa permits you to work and live in Australia, but you may not have access to certain work benefits if you aren’t a permanent resident or citizen. You can look for jobs on websites like MyCareer, Seek or CareerOne before you move. Working in Australia as a New Zealander normally means you’ll have to pay local tax and get a Tax File Number (TFN). You can only make an application for a TFN when you’re in Australia. However, should you not get one but have a job nevertheless, your employer will - in addition to Medicare levy - withhold tax at the maximum rate. It’s advisable to ask your employers payroll team and seek your own independent advice on your own personal tax obligations when working in Australia. You won’t have to worry about food and drink, as you can find just about any type of cuisine that you want, due to Australia’s multicultural society. If you want to sample other types of food or traditional Australian dishes, you can easily treat yourself. All your favourite kiwi treats like Manuka honey, Marmite, Pineapple lumps and NZ wine and beer is easily available in Australian supermarkets like Woolworths and Coles. If you like to party or simply relax after working hours, Australia is the perfect place for you. Cities like Melbourne, Sydney, Brisbane, Perth, Cairns (as well as many others) all boast amazing nightlife. Melbourne, Sydney and the Gold Coast are are highly rated for their excellent night life. We’ve included a list of the most liveable cities in Australia, taking in to account work-life balance, weather, work opportunity and average salary, affordability and more. Adelaide - Food, wine, culture and amazing scenery. Locals love Adelaide’s liveability, laidback lifestyle, mild weather and a low cost of living to make Adelaide a great place to live. Cairns - Cairns is known for being the gateway of the Great Barrier Reef. Tropical weather, a relaxed lifestyle and coastal living means visitors who come for a holiday, stay for a lifetime. Gold Coast - Sun, surf and nightlife! Living on the Gold Coast is all about lifestyle, with 70 kilometres of beaches on your and 100,000 hectares of World Heritage-listed rainforest nearby. Hobart - As the capital of the island State of Tasmania, Hobart is a decidedly different city. Far removed from the mainland, it offers immense natural beauty and a quieter, low stress lifestyle. Melbourne - Melbourne is one of the most beautiful cities in Australia, just one reason why it keeps ranking highly on international research on liveable cities. Perth - When you’re Australia’s sunniest city, there’s not much to complain about. Split in two by the meandering Swan River, Perth is known for its vibrant dining scene, especially when you can enjoy al fresco eating for much of the year. And when you’re not eating out, you can relax at the beach, with 80 kilometres of pristine coastline to choose from. Sydney - Sydney is an well-known tourist destination. The harbour, Opera House and Bondi Beach all sparkle in postcard-perfect pictures. What rights do Kiwis have when moving to (and living in) Australia? As a New Zealand citizen, you can live and work in Australia with no time limit on your Special Category visa. However, you’ll have limited rights if you’re not a permanent visa holder or citizen of that country. 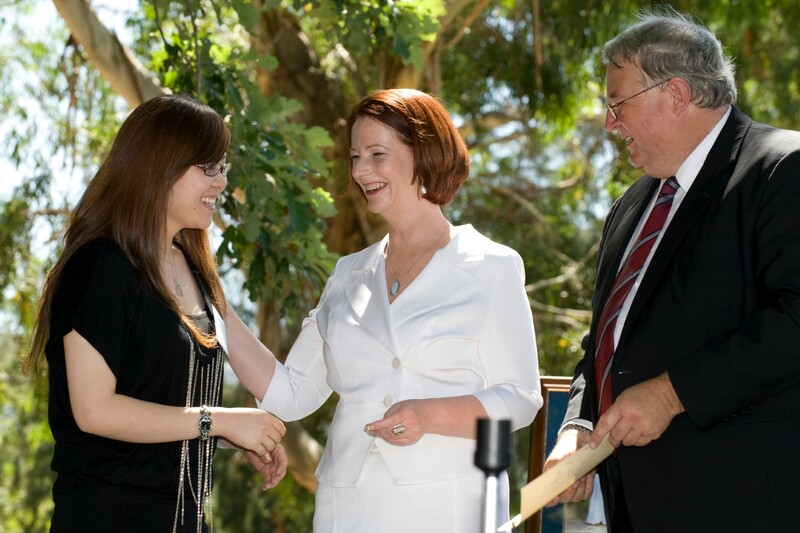 For example, you’ll not be able to vote without being an Australian citizen; you won’t be able to apply for citizenship without permanent resident status; you won’t have access to disability benefits or student loans; and you won’t be able to sponsor relatives who want to apply for permanent residency, amongst other things. If you want your move to Australia to be hassle-free, you’ll want to navigate the relevant processes the right way; in which case, our checklist will prove very valuable. Australian Customs officials are always working to ensure you aren’t moving contraband goods and will also collect any payable duty and tax. Technically, you must have owned and used any household goods you wish to move for at least 12 months in order for them to be classified as “owned” by you and not fall under duty charges. Cigarettes and all alcoholic beverages - as well as items for commercial intent - are subject to tax and duty payments, regardless of quantity. Ensure you have the right plans in place with regards your finances before you move. You’ll most certainly want to get the best deal when converting to Australian Dollars from New Zealand Dollars. Therefore, opening an Australian bank account before you leave is one of the best things you can do. A financial adviser can help you with all that’s required in this regard. Finding a place to live in Australia can be a competitive process and you might be at a loss if you don’t make the necessary enquiries. If you have relatives you can stay with, then get settled before seeking something more permanent. If this isn’t the case, our experts can guide you on how to approach things the right way. 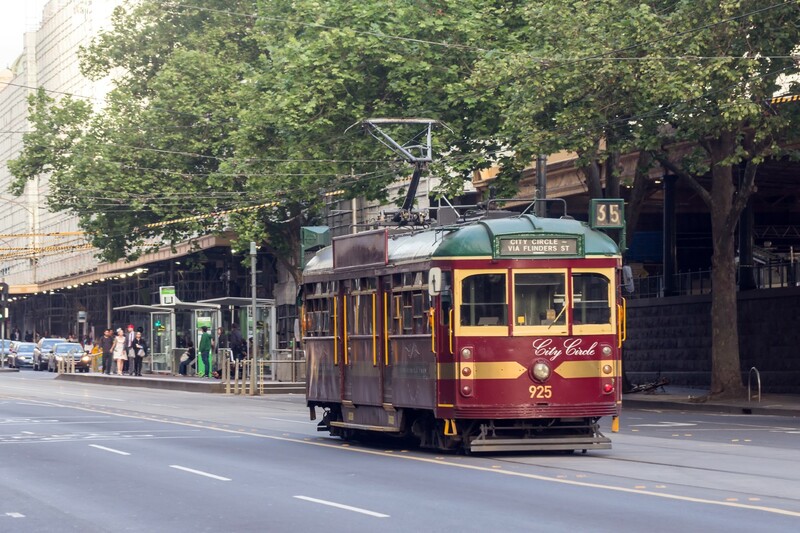 There are many forms of transportation in Australia and in cities like Sydney, Melbourne and Brisbane the public transport networks are well developed and reliable - so great if you're in the city or suburbs. Driving a car is generally straightforward for kiwis in Australia, as New Zealand drivers licences can be used in Australia for the first three months after arrival, provided it has not expired or been suspended. Our experts can provide the relevant guidance on how to move your entire family to Australia, as we’ve been doing this successfully for the past 25 years. If you’re a citizen of New Zealand, you’ll be eligible to work indefinitely due to an automatic Special Category Visa for NZ residents. However, it would certainly help if you can find a job before you move over. Be sure to have a thorough checklist of everything you want to take along with you. No matter the size, we can help you move it, but it’s important to plan ahead, so that you don’t miss anything. How long will it take to move to Australia? The time it takes to get all your belongings moved to Australia will depend on the size of the items, your destination, as well as how early in advance you’re prepared for the journey. We’ll always try to work within the timeframe you have in mind and will subsequently advise which options to go for. Three to Six Months: Commit! Planning three to six months (or even earlier) ahead will give you the opportunity to get things prepared in an orderly fashion. Two Months to go: Things are getting real! In two months, your move is now closer than ever. During this time, ensure you have everything in order to prevent drawbacks that could lead you to spend more or even delay your move. Four Weeks to go: The countdown begins! This is when you should ensure your visas, passports and other travel bookings are finalised. You should also discard any unwanted items and make the necessary banking preparations (such as terminating accounts and transferring funds). Two to Three Weeks left: Time to start the serious packing! While it’s best if your packing is done by this point, you should now finalise anything you might have had to postpone because you were using the items in question. One Week remaining: Keep Calm and Carry on! You don’t want to be in a rush during this period, so it’s important that you keep calm and not be overwhelmed by any forthcoming travelling procedures. If there are any household goods you’d like to take with you, Ausmove can help transport them from doorstep to doorstep. Whether you’re going to Melbourne, Sydney, Brisbane, Perth, Gold Coast, Cairns or any other part of Australia, we’ve got you covered. You might have an issue with Customs officials if you’ve owned your belongings for less than 12 months. It’s therefore important to only pack what meets the Australian Customs requirements. We recommend that you thoroughly clean your belongings, as they can attract expensive charges if they don’t pass the inspection of the Australian Quarantine Inspection Service (AQIS). We can duly advise how to keep your belongings clean when you contact us. A general guide for transit time moving your belongings to Australia might not be accurate in your personal terms, as shared containers are subject to change, depending on when each is filled. You can contact our moving advisers to find out about specific transit times to different destinations. We are expert movers; so much so, everything will run smoothly if you allow us to pack your belongings in the most effective way possible. We utilise standard materials and understand travel procedures for packing, so as not to attract charges from Customs and Quarantine services. If you want to send your things on ahead, we have storage services in Australia that can store them safely until they’re delivered at your doorstep when you arrive. If you aren’t sure about a permanent stay in Australia however, we can arrange storage for some of your belongings in New Zealand. We also offer moving insurance for peace of mind when in transit. This is recommended to prepare for any unexpected risks that could occur during shipping. More info on our insurance page. Our services come with extra offers that can add the finishing touches to your move. For starters, we can help transfer special items like safes, family heirlooms, and more. We can also provide cleaning services or help you unpack your things when you’re ready to settle in Australia. 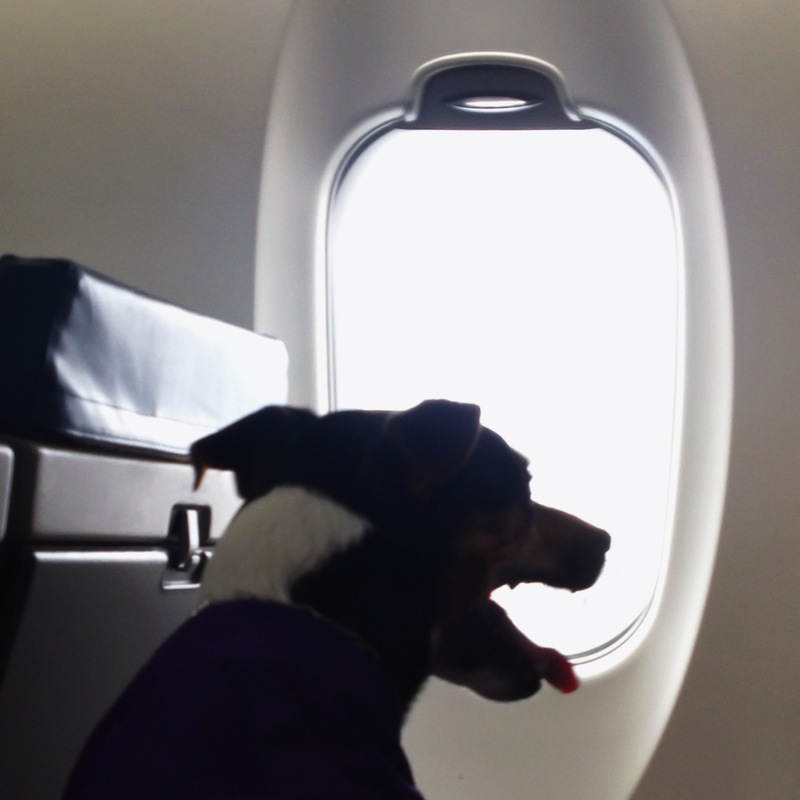 Having your pets (such as cats and dogs) microchipped and updating their vaccinations will see their transportation to Australia go smoothly. You can find out more on how to transfer your pets on the Australian Department of Agriculture website. XE Money Transfer are one of the leading foreign exchange companies in New Zealand, offering competitive exchange rates. If you want to transfer funds to Australia, consider using them. The main factors that affect the New Zealand to Australia Exchange rate are: market conditions, movement of the US dollar, import and exports, as well as the economic situation in China (which is the largest trading partner of both countries). Shipping fees for your car can range from $2,500 to $4,000, depending on its condition and size. The vehicle industry is highly regulated, so you’ll need an import permit, while for most cars, you’ll have to pay GST and import duty as well. Get a quote from us and we’ll talk you through the process involved in shipping your particular vehicle and using it once you get to Australia. Pest-infested items may be fumigated or completely destroyed, so be careful when moving these items. Apart from these, you can transfer other household goods and pets, but could have to pay tax levies on cars, cigarettes, alcohol, as well as other commercial products. Social security agreements have existed between the two countries since 1948, while other agreements have been in place since the 1920s. The social security agreement lets New Zealand citizens enjoy certain benefits while living in Australia and vice versa. However, since the update of the agreement on 26th February 2001, there have been changes which mean only permanent residents of Australia can enjoy certain social security benefits. To become an Australian citizen, you must first obtain a permanent visa, unless you’re covered by your Special Category Visa. There are various Australian benefits that you can access as a New Zealand citizen with a Special Category visa. 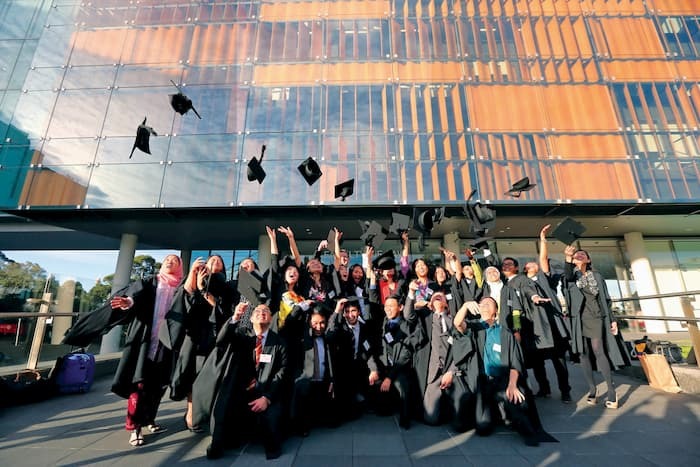 Some of these include working and residing in the country without a working or permanent resident visa; accessing education without a student visa; paying domestic fees; and the transfer of your NZ driving license within three months of your arrival. However, you cannot enjoy certain social security benefits if you’re not a permanent resident in Australia. As a New Zealand citizen, you can live, work, and study in Australia without applying for a visa, as you’re entitled to a Special Category visa upon entry. Keep in mind that this type of visa limits the social benefits you’ll enjoy, even though you’ll get to stay in the country indefinitely. Can a NZ permanent resident buy a house in Australia? Yes. Both citizens and permanent residents of NZ residents can purchase and apply for a home-loans to buy property in Australia. The SCV agreement lets kiwi citizens live/work in Australia indefinately. See the Home Affairs website for more information about SC visas. What if I want to become an Australian citizen? You’ll have to become a permanent resident first and wait two years before you can apply for Australian citizenship. As not everyone is eligible for permanent residency, it’s recommended that you speak to someone at the Department of Home Affairs. Can I ship my car to Australia? Yes. You can ship your car to Australia, provided you get approval. Can I take alcohol to Australia? Yes, but you’ll have to pay an Excise Duty, as well as making sure declare exactly what you’re importing. How long will it take to ship my goods to Australia? The time it will take to ship your goods will depend on the service you’re using, as well as where you’re shipping to. Contact our advisers to talk this through. Can I store my belongings in Australia? Yes. At Ausmove, we provide secure and accredited storage operations throughout Australia. Will my belongings be fumigated when they arrive in Australia? Your belongings may be fumigated, at the discretion of the Australia Customs service. This will be limited to specifically affected items, rather than your whole shipment. However, this may incur some fumigation charges. Will my car be steam-cleaned when it arrives in Australia? You may be able to avoid this, but it your car could indeed be steam-cleaned when it arrives in Australia, which usually comes at a high cost. Will I have to pay duty on my household goods in Australia? Excluding alcoholic beverages, cigarettes and other commercial items, you won’t have to pay any charge on your household items if you’ve owned them for more than a year. Do I have to clean my goods before shipping to Australia? Yes, we highly recommend that you carry out a thorough cleaning of any goods that are prone to pests. This can help to reduce the risk of hainv Customs requiring a clean and fumigation service. Can I pack my own belongings? You can, but it’s best to let the experts do it - or at least guide you -so that you can avoid any repacking and inspection costs in Australia. Can I use banana boxes for packing? No, this isn’t not recommended, as banana boxes come with a high risk and will ultimately need fumigating. What are the most important things to know about the Australian social security system? You’ll need to meet certain requirements - such as the income and assets test - if you want to claim an Australian pension. Whichever test turns out to be the lowest rate from the income and assets test is that which will be used. Where and how do I claim a pension? You can claim your Australian pension from Centerlink International Services if you’re residing in Australia or from the offices of Work and Income if you’re still in New Zealand. At what age can I qualify for an Australian Age Pension or New Zealand Superannuation/Veterans Benefit? For New Zealand, you must be 65 years or older, while for Australia you must be 66 as of July 2017 (which will increase every two years by six months, until it becomes 67 in 2023). At what stage can I claim a pension when moving from NZ to Australia? Under the agreement, claims can be lodged up to 13 weeks in advance before you reach the eligible pension age. What documents do I need to make a pension claim? Documents needed include proof of Australian residence, proof of identity, as well as other paperwork required by the Department of Human Services. How are pensions paid to New Zealanders in Australia? Once you’ve been approved for a pension transfer, and you qualified, then you’ll be paid your Australian Pension into the bank account of your choosing every two weeks if you’re residing in the country. How does moving between Australia and New Zealand affect my pension? Your New Zealand pension payment may be affected when you travel or move to Australia. It’s therefore important to get the relevant advice from Work and Income and the Department of Human Services.